More than kitchen design. A designer kitchen that transforms a functional workspace into a sculptural presence, a talking point, the perfect backdrop. 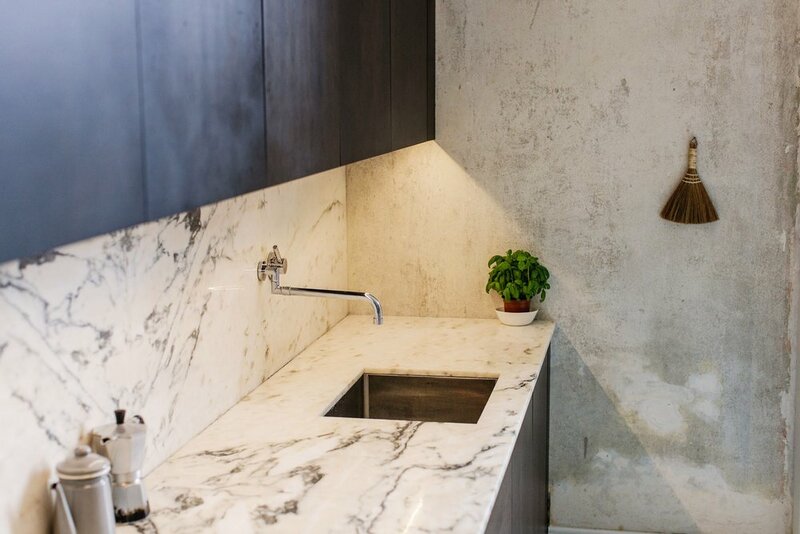 The classic marble bespoke kitchen installation presents as a clean marble surface in a Georgian apartment in Dublin. 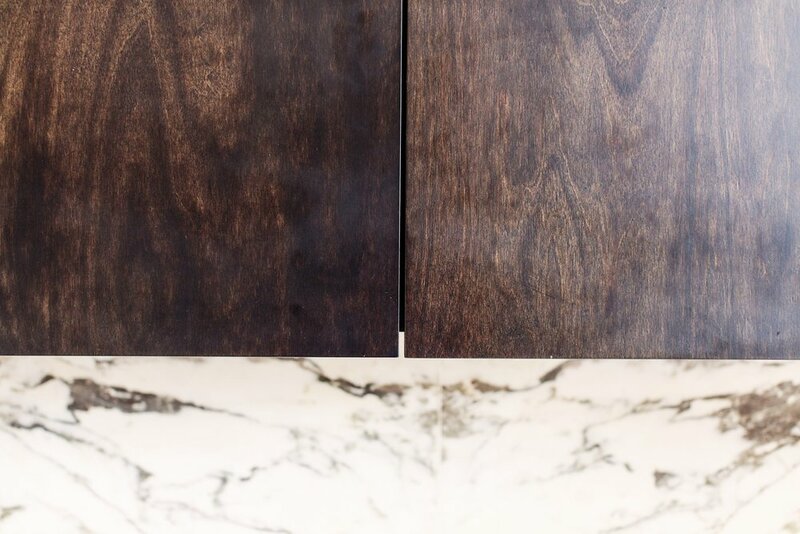 Functional workspace features are hidden within the kitchen cabinetry and doors. Designed as a reflection of the Georgian proportions, the doors are tall and stained dark. Bespoke kitchen concepts and vision are developed and designed with the Elements of Action team. Contact Esther or Ed to set up a consultation to review your homes requirements.